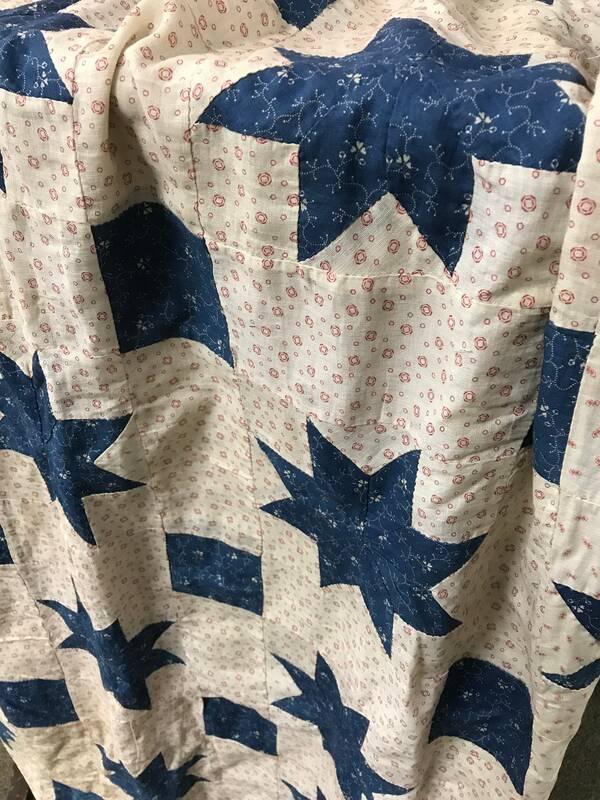 Q224 This quilt top is from the 1930's but also contains fabric dating back to the 1800's. 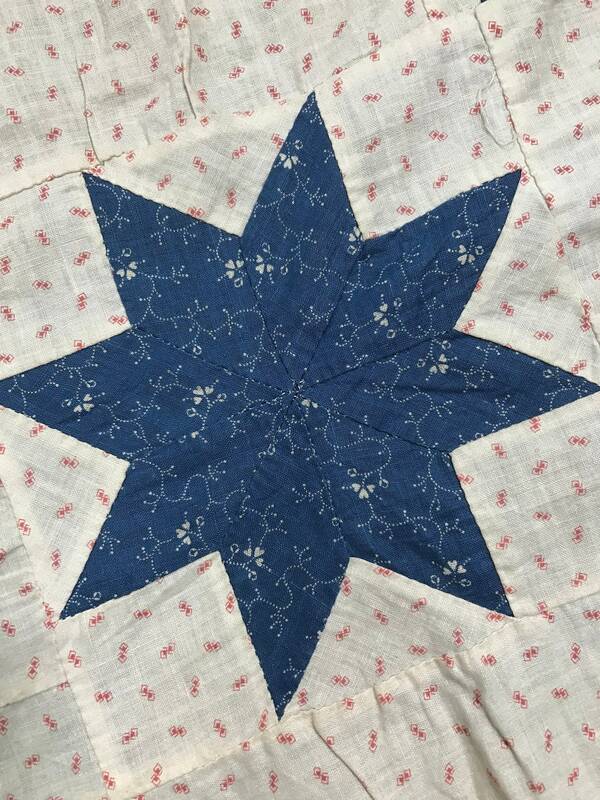 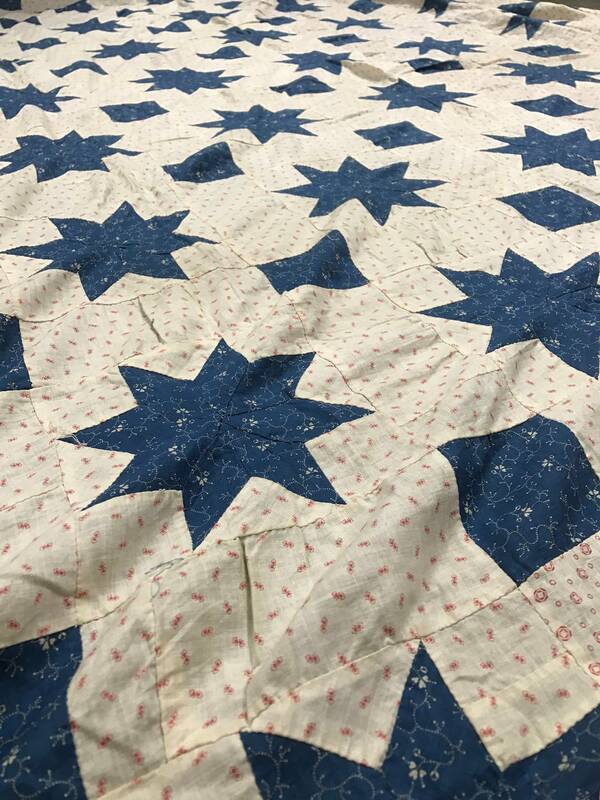 The LeMoyne Star pattern (also called Lemon Star) was named by the French after Pierre LeMoyne who founded the city of New Orleans. 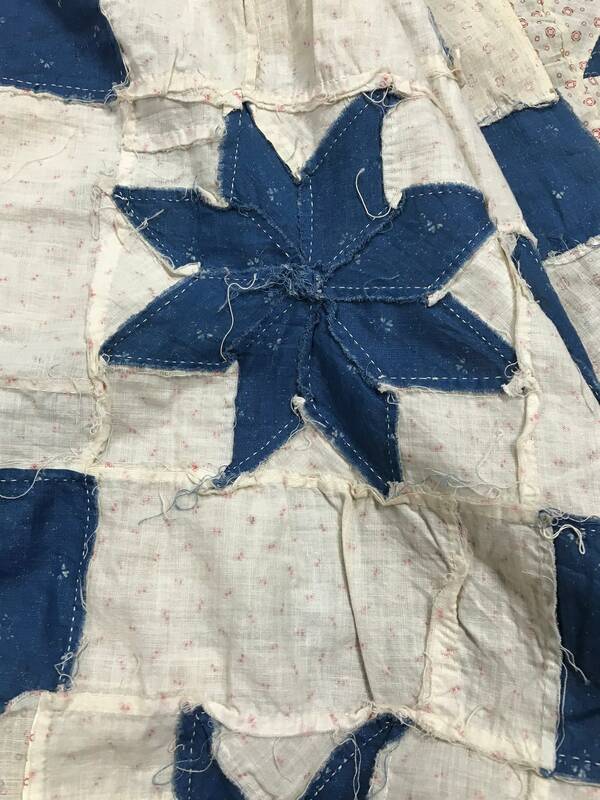 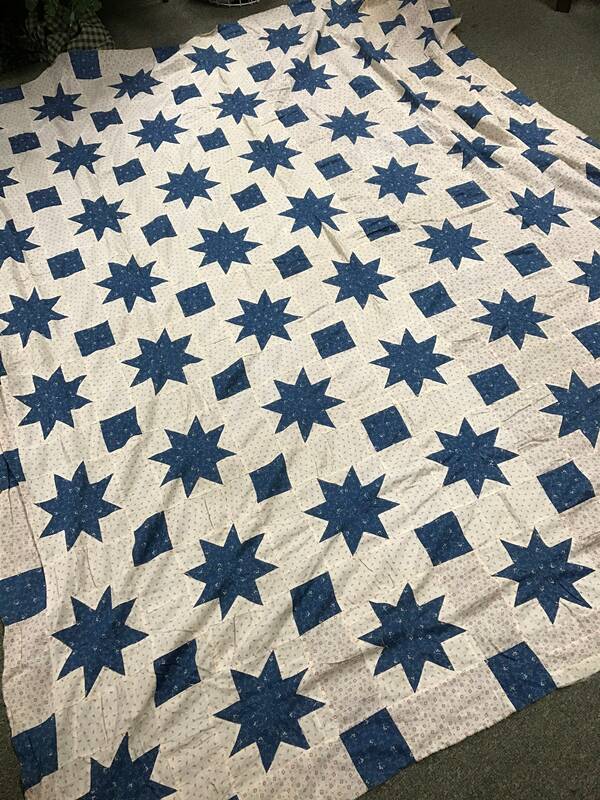 The colors in this quilt top are off white, blue and red details. 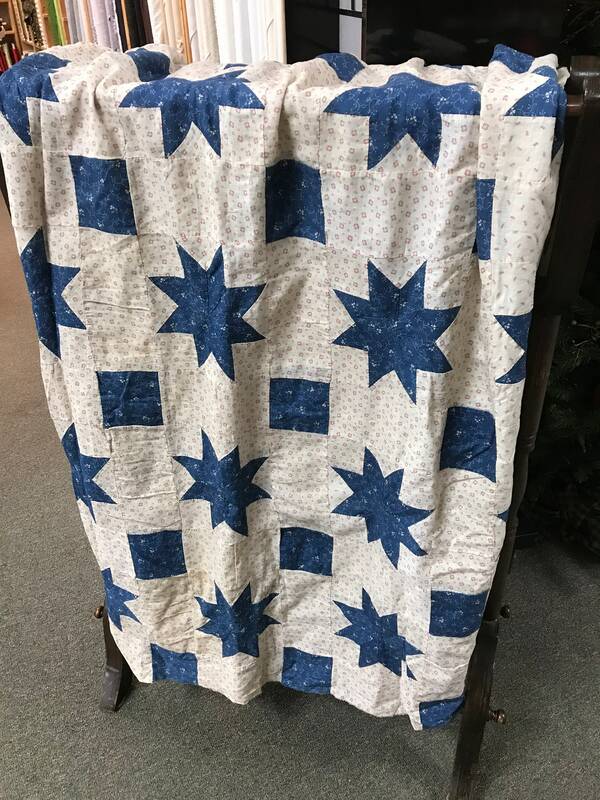 This quilt top is in good condition considering its age, there are some minor age spots to consider.